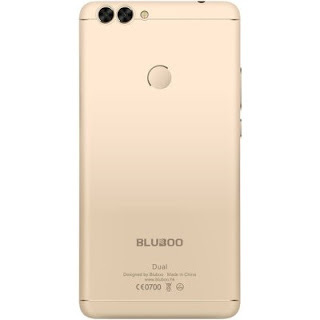 The funniest thing is that every devices have their selling point, for some, it’s the battery capacity while for this one, it is the camera…Now, see this. supplemented by a secondary 2 MP shooter for more accurate depth of field representation. Not just that, but also comes with 8MP frontal snapper with the obligatory beatifying effects. In aspect of design, it is housed in a thin 8mm machined aluminum chassis, Finger Print ID support just to mention a few. 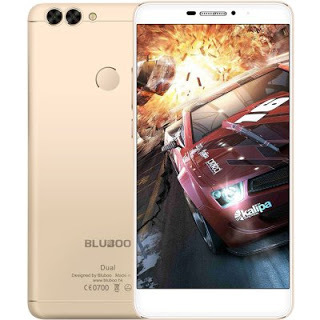 Bluboo dual is equipped with a 5.5" 1080p Sharp LCD display, Android 6.0 marshmallow out of the box, 2GB of Ram and 16GB internal memory with support for OTG cable. And Yes, it comes with 3000mAh battery capacity. Check out It specs highlight below..